Looking for a backpack that you can use on your commute, short trips, or weekend getaways? Then I have a few great recommendations for you! The following everyday backpacks will hold a lot of stuff but are still smaller than your typical maximum carry-on size airline backpack. They have around 20 to 30 litres of volume making them ideal for day-to-day use. 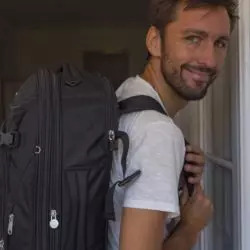 After compiling my popular guides for the best carry-on and best travel backpacks, I’ve selected my top picks for smaller backpacks you can use even when you aren’t travelling. 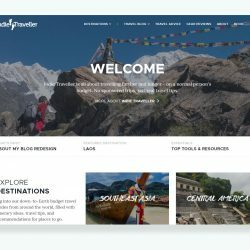 I think it’s important to get a true feel for how a backpack performs in real-life, and not to just recommend products based on their product listings. To be clear, I physically test and review all products! As a long-time traveller, nomad, and business traveller I know what’s important in finding just the right daypack. 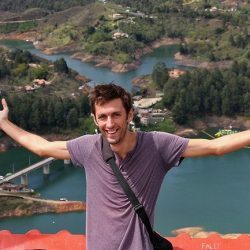 The links to Amazon or the manufacturer’s websites are affiliate links, which give me a small commission. You’re welcome to click these to help support my site. This is my current go-to everyday backpack, and my top recommendation. I use the Setout Divide nearly every day for carrying my laptop, electronics, and gym gear as well — and I love it. It looks great, and it’s great to use too. One of the coolest things is its accordion-like design, allowing you to increase its size if needed from 26L (best for day-to-day) to 35L (better for short trips). The big hip belt is probably overkill for daily use, but you can easily detach it entirely using the velcro strips. The Setout Divide is a great size for city exploration and daily commute. With the hip belt attached and the main compartment expanded, a light packer can fit even a week’s worth of clothes inside, and the dimensions are easily within airline carry-on restrictions. The only minor flaw are the zippers which aren’t entirely weather-sealed. I’ve actually had no problems carrying this bag in the rain (everything stays cork-dry inside), but true wilderness adventurers may wish for a bag with perhaps some YKK Stormguard zippers. Otherwise, I think this is a versatile and great-looking backpack that can double as both a travel backpack and a daypack. Osprey’s heritage is mainly in high-end trekking bags. It also creates some fantastic everyday and commute backpacks, though you can still see its outdoor heritage reflected in their durability and sporty designs. Their 24/Seven product line has 10 different variations (some unisex, some specifically male/female), of which I’ve reviewed the Tropos 32 variant. 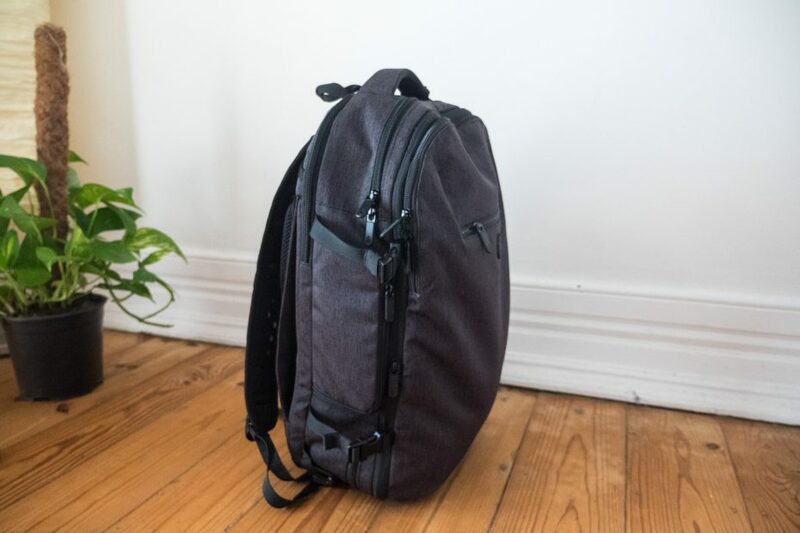 What all of the models have in common is that they feature a wealth of compartments and storage options, all have nicely padded back panels, and all feature padded laptop sleeves and LED light attachments. The Tropos (male) and Talia (female) backpacks also have another neat feature: a kickstand that ensures that if you put the bag down on the ground or on a desk, it won’t tip over. Although it adds a bit of rigidity to the design, I like this feature a lot. If you count all the different color versions then there are actually 37 (!) 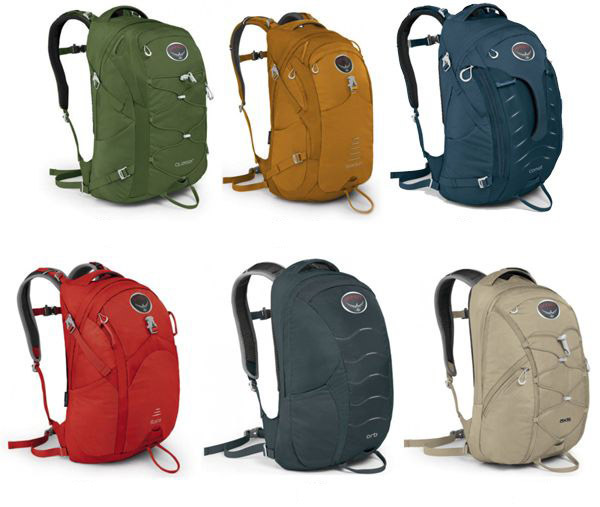 variants of the 24/Seven backpacks, so chances are that at least one of the configurations will appeal to you. This everyday backpack has an unusually versatile and modular design. It is also a bit more outdoorsey than the Setout Divide, and has some features that will appeal to photographers in particular. The Prima System is ridiculously clever, having a top panel access as well as a side panel access, behind which is a removable pouch. This modular pouch gives you quick access to them through the side panel, making it excellent for storing a camera with lenses (no doubt its main intended use). You’ll need just one hand to retrieve them while keeping the bag on your bag on a single strap. Of course, this pouch can easily be used for other travel essentials too. It can even function a separate messenger bag; simply detach the hip-belt from the main backpack and clip it onto the pouch — ta-da, you now have a small shoulder bag! This clearly offers some amazing versatility. One minor downside is that the top flap makes it a bit more difficult to access the main compartment; you first have to unclip two magnetic buckles, and then open the central zipper. Your stuff feels slightly more buried than in a Tortuga Setout Divide or an Osprey 24/7 bag. On the other hand, YKK Stormguard Zippers and 500D Kodra Nylon exterior make this bag very weather-protected and durable — great if you also need to take it into the great outdoors every now and then. You can read my full review here. 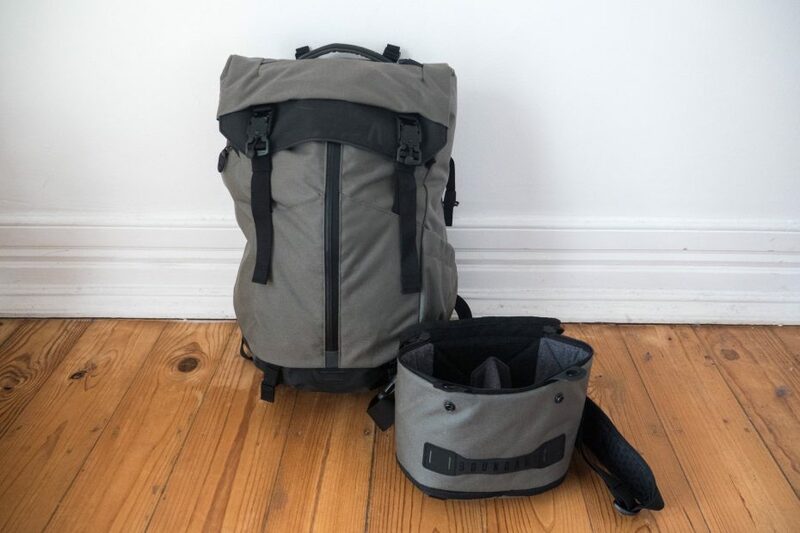 These bags come in two sizes: the 20 Liter (which I reviewed) and the 30 Liter. 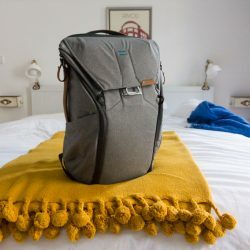 I have to say, the Peak Design Everyday Bags are among the cleverest designs out there — just take a look at their product videos if you don’t believe me. This bag has a way of making you feel like a proper smartass, always prepared for every possible storage scenario. I’ve used it for photography, work, and even for picnics and trips to the beach. 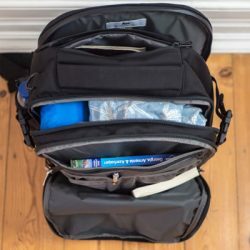 The inside is entirely customizable using modular walls, the contents can be accessed from nearly every side, and hidden straps allow you to attach additional items to the outside of the bag (think of a tripod for example, or a beach towel). The top flap open using an amazing magnetic latch, and just effortlessly opening and closing with just one flick of the hand never gets old. I’ve loved this backpack dearly but after a year or-so I did start noticing a few issues. Firstly, the material has a way of getting quite noisy after it’s been in the rain, sounding a lot like squeeky rubber. Pretty annoying! Secondly, the fact that literally every side of it can be opened is a double-edged sword — I only dropped a camera lens to the floor because I got confused about which side of the bag I was looking at. (Both the sides have zippers.) But maybe if you’re not as absent-minded as I am, this will be less of an issue. The 20L is definitely only for daily use. It’s especially great as a versatile camera bag. 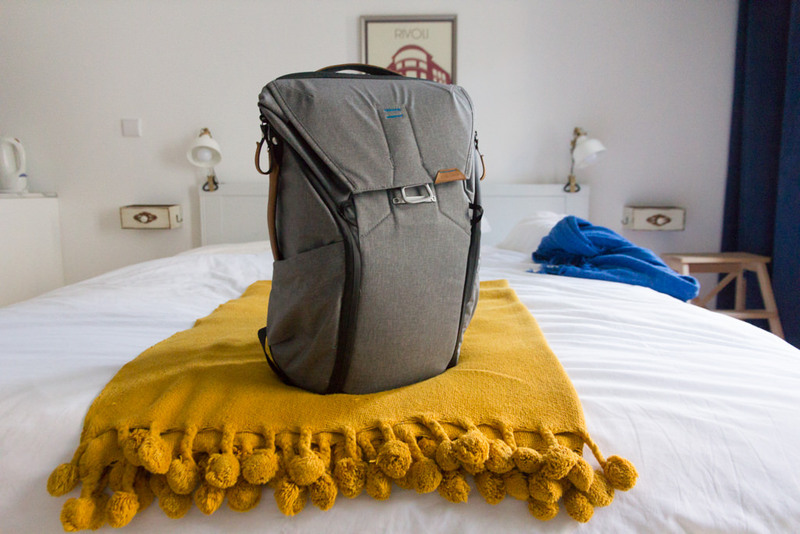 The 30L can be a good weekend or short trip travel bag as well, though the main compartment is more suited to storing electronics or other travel items than it is for clothing. Still, it’s the closest thing you can have to a Swiss Army Knife of daily carry backpacks.